Video footage of Culture Secretary Jeremy Hunt smiling and shaking hands with Rupert Murdoch at the Olympics on Friday suggests the pair are “as close as ever,” a Labour MP has said. ITN filmed Mr Hunt talking to the News Corp boss near the Aquatics Centre. Labour’s Jim Sheridan said the film suggested “no contrition” for mistakes since Mr Hunt faced questions over his handling of News Corp’s BSkyB bid. But Mr Hunt’s office said the meeting was an “exchange in passing”. News Corp said it had “no comment” to make on the affair. Rupert Murdoch had been invited to the Olympics by London Mayor Boris Johnson. In the video, shot on a mobile phone in the Olympic park, the News Corp chairman and Mr Hunt are seen smiling, shaking hands and conversing briefly before the culture secretary gets into a car and is driven away. 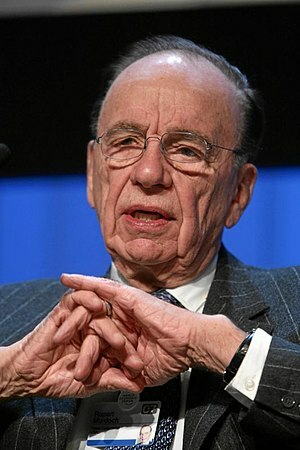 Mr Murdoch was questioned by MPs and Lord Leveson in connection with the phone-hacking scandal, which led to the closure of his News of the World title, after it emerged journalists had hacked into thousands of mobile phones, among them one belonging to schoolgirl murder victim Milly Dowler. Former News International head Rebekah Brooks and other senior journalists have since been arrested and charged with various offences related to phone hacking. A spokeswoman for Mr Hunt said the meeting between had been an “exchange in passing”. She said: “They met in the margins at an event and they said hello and it’s nothing more than that.” She confirmed that Mr Hunt did know that Mr Murdoch would be at Olympic Park as a guest of Boris Johnson, but said the greeting was by chance. The cabinet minister was in the Olympic Park to watch GB swimmer Rebecca Adlington’s event, the spokeswoman said. “They happened to be in the same place. They just said hello. If you meet someone you know, you normally say hello. It wasn’t prearranged,” she added. Mr Hunt’s relationship with the Murdochs was examined by the Leveson inquiry into media ethics after it emerged the cabinet minister had written a memo to Downing Street backing a News Corp takeover of BSkyB. Although the memo was written before Mr Hunt inherited the job of deciding whether the takeover should go ahead, critics said he had compromised his role because he could be seen to be not impartial. At the time, the culture secretary said he “strictly followed due process” in the matter, and denied that News Corp had any “back channel” of influence with his office. Mr Hunt also said claims made on 4 July 2011 that Milly Dowler’s phone had been hacked had made him re-evaluate the News Corp bid. The culture secretary’s special adviser later resigned over “inappropriate contact” with News Corp. This entry was posted in News Archive and tagged 2012, Boris Johnson, BSkyB bid, Commons Committee, Conservative Party, corruption, criminal, deceit, decode, Downing Street, due process, Hunt, hypocrisy, Jeremy Hunt, london, London Mayor, Lord Leveson, Milly Dowler, Mr Sheridan, News Corp, News Corporation, News of the World, Olympic, Olympic Games, Olympic Park, Phone hacking, phone hacking scandal, phone-hacking affair, Rebekah Brooks, Rupert Murdoch by renaissancelearningfoundation. Bookmark the permalink.